Flower spotting is a popular pastime for tourists on Jeju. While it may seem like an activity that is more likely to take place during spring and summer, there are also opportunities for flower spotting in the colder months. For example, February will see several Ume Flower festivals held on the island. Ume flowers are one of the first spring flowers to bloom on Jeju. 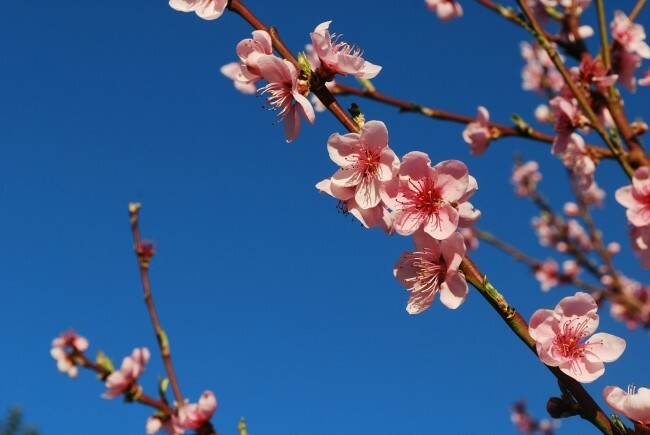 Also known as apricot flowers, they begin to blossom in early to mid-February and last until mid-March. They come in delicate pinks and whites. Places you can see the plants include Hallim Park which will hold a festival throughout February, Norimae Park which will hold a festival at the same time, and Hueree Natural Park which will hold a festival from Feb. 8 until March 10. Several flower events are held on Jeju throughout the year. Perhaps the most famous are the Cherry Blossom Festival, which is held at the end of March or early April, and the Canola flower festivals which take place in April. In addition, you can see tulips in spring, camellias in winter, and azaleas in Summer on Mt. Hallasan. For more information, you can Google the above festivals. Alternatively, Hallim Park has an English language option on its website. Find it by going to https://www.hallimpark.co.kr/en-28.